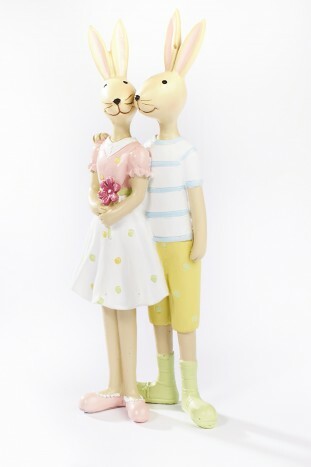 Spring bunny couple dressed in seasonal pastel coloured clothing. Lovely spring bunny couple. Dressed in seasonal, pastel coloured clothing.